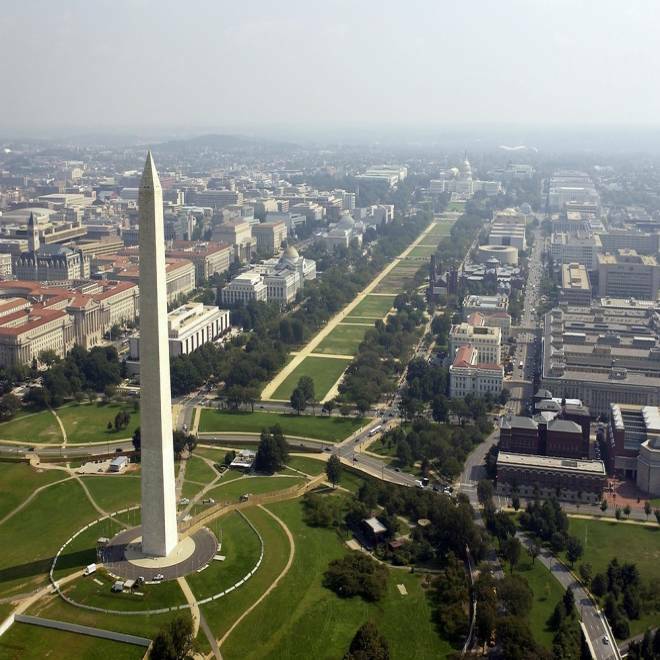 The Washington, D.C., metropolitan area leads the list of the richest cities in the United States. By Michael B. Sauter, Alexander E.M. Hess and Samuel Weigley, 24/7 Wall St. Median household income in the United States declined for the second straight year, according to data released by the U.S. Census Bureau last month. The national median income was $50,502 in 2011, more than 8 percent below the 2007 pre-recession peak. The country’s largest cities followed the same pattern, with income in some cases falling by more than 10 percent. Even in the country’s wealthiest metropolitan areas, median household income fell in many cases. What has not changed much is the gulf that separates how much people make, depending on where they live. In McAllen, Texas, the median household earned just $31,077 in 2011. In the Washington, D.C., metropolitan area, the median household earned close to three times as much. These differences reflect vastly different economies and demographic makeups. Based on the 2011 Census Bureau American Community Survey, 24/7 Wall St. identified the cities with the highest and lowest incomes. The biggest factor in determining a city’s income, according to Alex Friedhoff, a research analyst at the Brookings Institute’s Metropolitan Policy Program, is the underlying industries that employ the most residents, as well as the type of jobs. High-tech jobs, particularly those related to computers and information technology, tend to pay higher salaries and are more likely to be located in areas with affluent residents. On the other hand, most of the jobs in the lower-income metro areas tend to be in retail, service, agriculture and low-tech manufacturing. A review of the employment characteristics of the different cities confirms this. Included among the richest cities are the information technology centers of Boston and Boulder, Colo., the finance hub of Bridgeport-Stamford, Conn., and the San Jose, Calif., region, better known as Silicon Valley, home to some of the largest chip makers and computer parts manufacturers in the world. Nationwide, 10.7 percent of workers are employed in professional, scientific and management positions. Of the 10 wealthy metro regions, nine have a larger proportion of workers in that sector. In Boulder, 21.9 percent fall into that category. In the poorest economies, there is a much higher proportion of low-end manufacturing and retail jobs. In the U.S. as a whole, 11.6 percent of workers are employed in retail. In the 10 poorest metro areas, eight exceed that number by a wide margin, including Hot Springs, Ark., where 17.3 percent of its work force is employed in retail. Other key indicators released for 2011 show the disparity between these rich and poor cities. Poverty rates in some of the poor cities are well above the national rate of 15.3 percent. In McAllen, Texas, more than 35 percent of residents lived below the poverty level in 2011. In Washington, D.C., one of the wealthiest cities, just 8.3 percent of residents lived in poverty. To identify the U.S. metropolitan statistical areas, or MSAs, with the highest and lowest median household income, 24/7 Wall St. reviewed city data on income, poverty rate, median home price and health insurance from the U.S. Census Bureau’s 2011 American Community Survey. Based on census treatment, median household income for all years is adjusted for inflation. We also reviewed unemployment data provided by the Bureau of Labor Statistics. The Census Bureau breaks out the data only for the 366 MSAs with 50,000 people or more. All ranks are out of those 366 metropolitan areas, except for unemployment, which is out of 372 areas. The San Jose area is home to some of America’s top technology companies, which employ highly compensated engineers and other technology professionals. More than 45 percent of adult residents had at least a college degree as of 2010, according to a recent study by the Brookings Institute, making San Jose the second most-educated metropolitan region in the country. The median home value as of 2011 was $618,000 and 18.7 percent of homes were worth at least $1 million, both categories the highest in the country. Despite having the second-largest median household income in 2011, the area’s unemployment rate of 9.9 percent was significantly higher than the national rate of 8.9 percent as California has suffered especially severely from the housing bust. In Bridgeport, 12 percent of the residents work in the finance and insurance industry, the third-highest percentage of all metro areas. The metropolitan area is home to many hedge funds, where executives can earn millions of dollars annually. Furthermore, many people who work on Wall Street also settle in western Connecticut. More than one in five households earned at least $200,000 in the area, the highest percentage of all metro areas in the country. Nearly 14 percent of homes were worth at least $1 million as of 2011, the fourth highest percentage in the country. While median income fell by $642 across the U.S. between 2010 and 2011, median income in the McAllen area fell by a whopping $3,653 over the same period. More than 37 percent of the population did not have health insurance, which was the highest percentage of all metro areas in the U.S. The median home value of $77,600, while up more than 11 percent since 2007, was still the second lowest among all metro areas in the country. Nearly 29 percent of all homes were worth less than $50,000, the highest rate of all metro areas. Brownsville, located in the most southern portion of Texas, has its fair share of economic woes. About 34 percent of households live in poverty, the second highest percentage of all metro areas, and 10.6 percent of all households earned less than $10,000 a year. More than a third of residents did not have health insurance in 2011, the third highest rate in the country. Yet the region showed some signs of improvements. While still the second lowest in the country, median home values rose more than 5 percent between 2010 and 2011 as values fell or remained nearly flat for the majority of metro areas.